Jacinda Ardern's powerful National Remembrance Service speech. "They will remain with us forever." Jacinda Ardern's speech at Christchurch's National Remembrance Service. 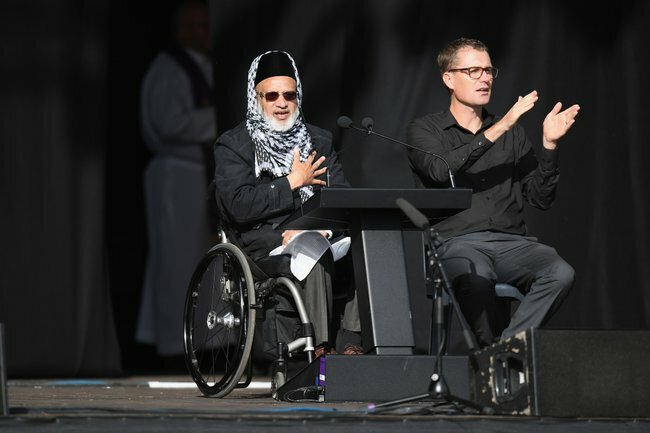 The 50 victims of the mosque shootings on March 15 were remembered at a solemn National Remembrance Service at Hagley Park on Friday attended by thousands of New Zealanders and representatives from nearly 60 countries. New Zealand Prime Minister Jacinda Ardern said a positive to emerge from “our darkest hours” was what she believes is a newfound respect and compassion towards the Muslim community. In her speech, Ardern highlighted the incredible stories of bravery. “They were stories of those who were born here, grew up here, or who had made New Zealand their home,” she said. 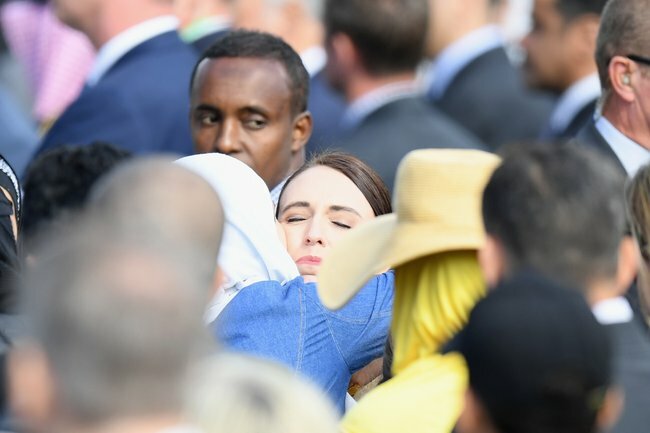 New Zealand Prime Minister Jacinda Ardern embraces a member of the Muslim community at the end of the National Remembrance Service. Image: Getty. 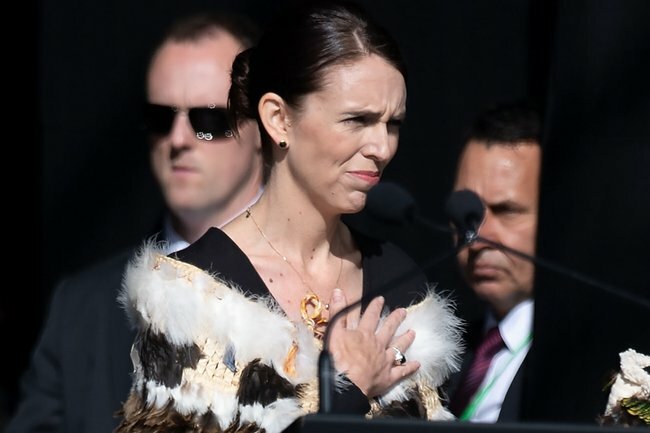 As she has repeated since her very first speeches on the day of the attack, Ardern said violence and extremism is not welcome in New Zealand - a country that prides itself on its diversity, kindness and compassion. 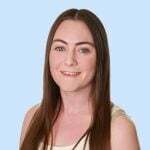 The reaction to the tragedy in Christchurch showed that, she said, and it must continue to be shown everyday. "From the thousands at vigils to the 95-year-old man who took four buses to attend a rally because he couldn&apos;t sleep from the sadness of seeing the hurt and suffering of others. "Our challenge now is to make the very best of us, a daily reality." She said New Zealand could be the "nation that discovers the cure" to the viruses of hate and fear of others - and this would be up to its citizens just as much as its government. "We each hold the power, in our words and in our actions, in our daily acts of kindness. "Let that be the legacy of the 15th of March." A survivor of the attacks, Farid Ahmed set the tone for the service when he said he forgave the gunman who committed the atrocity. Ahmed lost his wife Husna Ahmed in the attack and was wounded himself but delegates from around the world also heard Ahmed describe how he doesn&apos;t want hatred to be the prevailing emotion. "People ask me: &apos;Why do you forgive someone who has killed your beloved wife?&apos;... I don&apos;t want to have a heart like a volcano. A heart like that would hold anger, fury, rage and hatred," Ahmed said. "I have chosen peace, I have chosen love, and I have forgiven. "I do not hate (the accused) - I cannot hate him, I cannot hate anyone. "We all want peace ... we say we want peace, but we have to start somewhere. We have to clean our own hearts first ... if our hearts are full of love, then peace will start from here. "Regardless of faith, culture and religion, I would like to begin with this city [in which] I live - Christchurch, the garden city. In the garden, we see different types of flowers. They are different, but together they make a beautiful garden." Mamamia&apos;s daily news podcast The Quicky honours the heroes and victims following the Christchurch terror attack. Post continues below audio. The swelling crowd listened solemnly when the names of all 50 victims were were read out. Before the service, the trio and their wives laid flowers at the adjacent Al Noor Mosque, the scene of one of the attacks. Heavily armed officers patrolled the central city park, with snipers and elite staff from Australia reportedly boosting police numbers in what has been described as the country&apos;s biggest security operation. Musician Yusuf Islam, formerly known as Cat Stevens, performed his songs "Peace Train" and "Don&apos;t be shy" after wishing peace for those killed and their affected families. The ceremony coincided with remembrance gatherings around New Zealand which are taking coverage of the Christchurch event via big screens. Thousands more were expected to attend a service at Auckland&apos;s Eden Park on Friday afternoon. The alleged gunman, an Australian man, is charged with murder and is expected to face a raft of further charges next week.